A program backed by Google and designed to teach youth computer skills debuted on Wednesday in Iqaluit, as students mixed traditional culture and music with computer science. 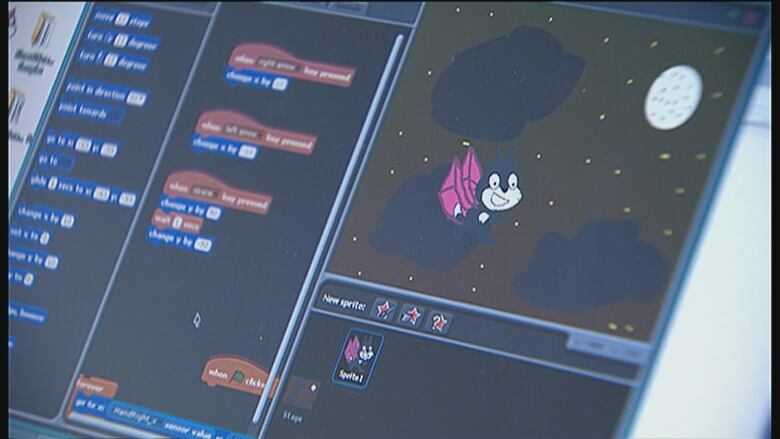 Students in Iqaluit are the first in Canada to take part in a new pilot project combining computer science and culture. Codemakers is part of a three-year program led by Actua, a charity that promotes science engagement in youth. 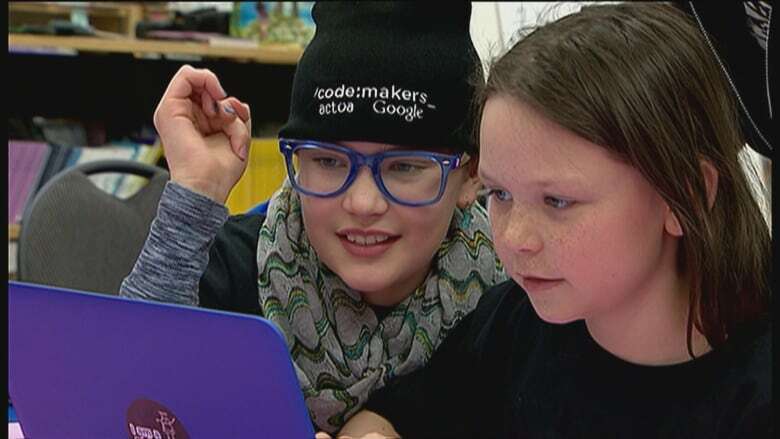 Students at Nakasuk Elementary School participated in the Codemakers project on Wednesday, learning about computer programming through music software, video games and 3-D printing. The school's throat singing club even got a chance to record and remix their songs. "We haven't done coding with throat songs before," says Jennifer Flanagan, the CEO of Actua. "They're sitting down, learning a piece of software for the first time and they're getting it quickly. They're eager and they want to share." Flanagan says Codemakers isn't just about creating computer programmers of the future — it's also about providing a range of skills that are useful in modern life. Elizabeth Ryan, a Grade 1 teacher at Nakasuk who also coordinates throat singing classes, says the workshop was a good experience for the students. "They learn new skills and how to use new tools," says Ryan. "It's perfect for them." 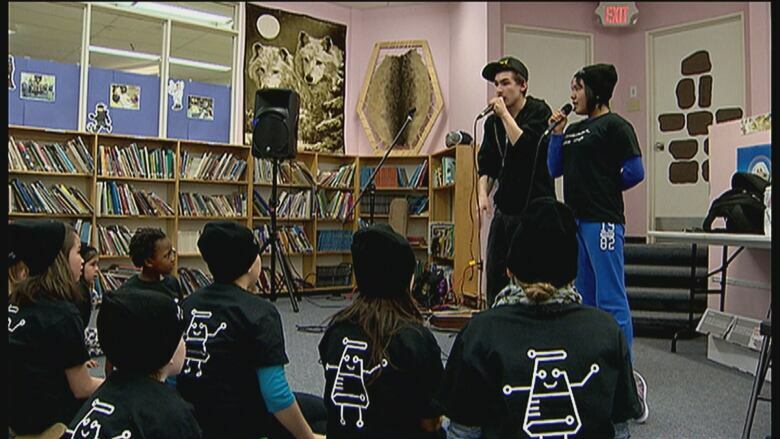 The students even got to use recording software and throat sing with well-known beat boxer Nelson Tagoona of Baker Lake. Katarina Dawiskiba and Talia Armstrong recorded their first song together, and remixed it with Tagoona's help. "It's really cool. And it's really easy to use which is a good thing," laughs Armstrong. Tagoona, known for pioneering "throat boxing," says he wishes this technology was around when he was younger. "I started off recording in my bedroom on an old white desktop computer. It was so old I don't even know how to describe it," says the 21-year-old. "It was probably from, like, 1994 or something." Actua is conducting Codemakers workshops with $1.5 million in backing from tech giant Google. "A lot of people dismiss the North as not having great connectivity but these are essential tools and we want to make sure that these communities have the same kind of opportunities as the rest of Canada," says Google Canada's Aaron Brindle, who was at Nakasuk for the launch. Iqaluit students are the first of about 100,000 who will attend similar workshops across Canada over the next three years.